I rescued my cockatoo, and I rescued my tortoise. But I did not rescue Chou Chou Briard. I purchased her from a responsible briard breeder. And I did not rescue an orphan from Romania or Guatemala or China, although there are orphans who need homes. I chose to give birth to my child. Rescue and adoption are wonderful. I support these groups financially, as some of my favorite charities. But I chose the family members I live with, and believe that each person, each family, should choose those whom they wish to live with for many years, rescue or otherwise, without criticism. Rescue groups are "politically correct" right now, while breeders of purebred dogs have kept silent even as they are vilified, to the point where people no longer understand the difference between a puppy mill and a responsible breeder. In some strident circles, buying a purebred dog is a shameful thing. Well, no, it's not. After my first briard, Mimi, died at the age of (20 days short of) 14, I was heartbroken. I loved her so much that life seemed incomplete without a briard. I've had other breeds of dogs, but I fell hard for this one breed. Different purebred breeds were bred for different purposes, such as herders, rat and mice control, sled dogs, retrievers, guardians, and hunters. Many breeds are thousands of years old, and they are national treasures. Because of their ancestry, different breeds suit different personalities and lifestyles of people: you know what you are getting -- there is a national standard for each breed. Briards are very smart. They are gentle around children and other animals. They will sit nearby while I work, but enthusiastically play and clown around later on. They are relatively healthier than many other dogs. And to me, they are big and beautiful (of course, people have different ideas of what kind of dog is beautiful to them). I wanted a briard puppy. As a psychologist, I know how important it is for bonding and training to start young. And you will not find a briard puppy to rescue from a shelter. Why? Because breeders of briards protect the breed they love. They do not have more puppies than they have committed buyers, and each prospective briard family is carefully screened. If the breeder believes that the family and the briard are not a good match, the breeder will not sell the puppy to that home. It's not easy to convince a responsible breeder to sell a puppy to you! And a breeder's responsibilities do not end with the sale. If at any point the family can no longer keep the briard (e.g., the owner dies), the breeder gladly takes back the dog and provides a good home. If someone gives up a briard without contacting the breeder, and the dog is in a shelter, the national network of briarders is alerted, and Briard Rescue comes to get the dog. I have known briard lovers who drive hundreds of miles to pick up a briard at a shelter, try to locate the breeder, or foster the dog (and possibly nurse the dog back to health) until an appropriate home can be found. That's why you don't find briards of any age in shelters. All breeds have rescue groups like this. You also don't see briards in shelters because care is taken -- through neutering or quarantine during female heat seasons -- not to have accidental litters. Briards in heat are not wandering the streets to become briard-doodles, or whatever. Reputable breeders are not the reason there are dogs in shelters, and people who buy purebred dogs are not the cause of dogs in the shelters, either. Responsible breeders are careful breeders who plan. Before dogs are bred, they have X-rays and genetic tests. Dogs with heritable conditions, such a hip dysplasia, are not bred. The goal is to breed out the diseases that affect the breed and make the breed healthier. Care is taken to introduce new genes into the gene pool for maximum health. And they breed for good temperament! After the puppy goes to its new home, the breeder, and even all the other breeders who love these dogs, are available to the family to answer questions... and I had a lot of them! Although I had a briard for 14 years, I still asked other briard owners what they recommended for shampoos, trimming shears, dog dryers, foods, supplements, training, etc. And if my dog gets sick, after the vet, I turn to the briarders on the Internet lists for their expertise and experience with many briards. They comfort people, like me, when our briards die, and they cheer each time a new litter is born. They do not breed for the money -- after all the costs of the breeding, birth, and caring for puppies for 8 weeks, they may break even, and not always, if there's a medical problem with the birth or litter. They grieve for every puppy that is stillborn. They rejoice with every successful litter, and spend weeks playing with and socializing the pups. They love their adult dogs as family members. They breed puppies because they love their breed. Breeders work with their dogs for pleasure. Dogs like briards have fun jobs with the people who love them: they are busy doing herding, agility, animal-assisted therapy, obedience, rally, conformation, and nose work. The briard is a major part of family life. When you buy a purebred dog from a reputable breeder, who belongs to national breed organizations (such as the Briard Club of America, or the Briard Medical Trust, which funds research to eliminate diseases and increase longevity) you have a community, a support system, and many new friends. So what's a puppy mill? It's a business run by people who breed for profit. They may have hundreds of puppies at one time and it doesn't matter if these dogs have passed health clearances or have good temperaments. They are often breeding many kinds of dogs, usually any breed that is popular at the moment (remember the rush to buy dalmatians after the Disney movie?) without any love for a particular breed. Their dogs are not their family. The dogs are often kept in bad conditions -- the cheapest way possible. And they don't screen homes of puppy buyers; anyone with money can buy their dogs, often through ads on the Internet or in pet shops. Backyard "breeders" are also a big part of the problem of shelter dogs. These are people who have a pet and decide, willy-nilly, to have puppies because they are cute, or for extra money -- or they aren't paying attention and, before you know it, there's an accidental pregnancy. These are people who may breed a dog, but they are not breeders; when they can't sell the puppies, they dump them. In every field, you find charatans. It's up to us to do our homework and learn the difference before we commit to services -- and not blame the actual professionals for the behavior of the charlatans. There are plenty of cats, rabbits, birds, guinea pigs, horses, snakes, and other animals that could use homes. Are all people responsible for taking all of these into our homes, or are only purebred dogs a problem? I rescued two of my animal companions, and I choose not to eat animals; but I certainly don't judge people who do otherwise. It's a choice, based on each person's personal convictions, not just mine! It's the militant self-righteousness of some vocal rescuers that bothers me -- certainly not rescue itself. Kudos to people who choose mixed breeds and choose to adopt a rescued dog. But that is not the only moral way to acquire a dog. 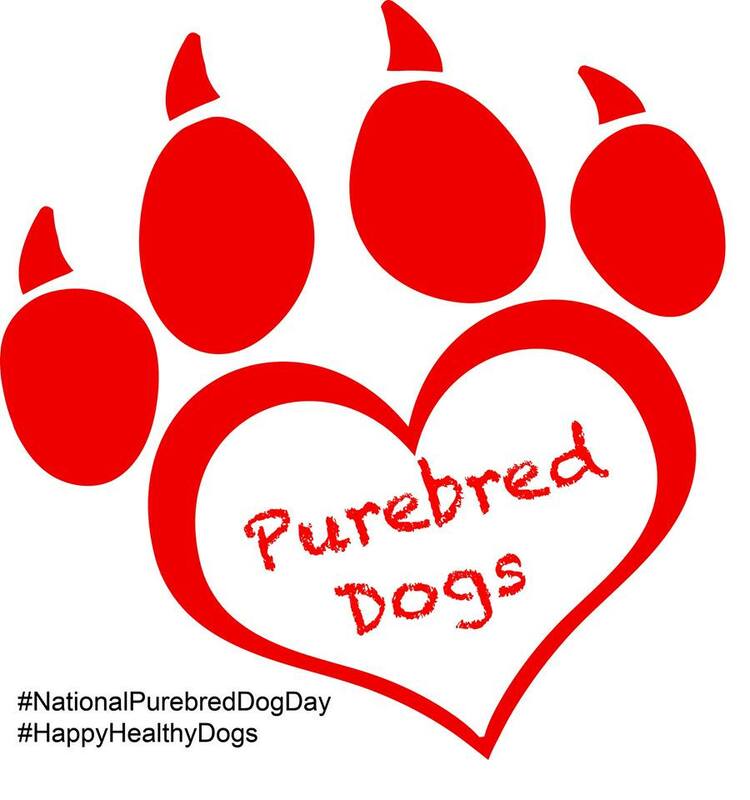 Good people do buy purebred puppies from breeders! Don't judge. As a person who has been involved in pure-bred dogs since 1972, and Briards since 1979, I want to THANK YOU from the bottom of my heart for such a wonderful and well written article. You are the "puppy buyer" that ANY breeder wants to have one of their dogs!!! Thanks again. Thank you for taking the time to write this! Well done! Your articles is very well written. My first obedience dog came from someone only breeding to make money, but my parent got her for me and didn't know better. While I loved her, her conformation and temperament left a lot to be desired. That taught me the importance of a good breeder and I have followed that since and have had wonderful dogs ever since. While adopting is wonderful, to me it is important to know the background of the parents behind a dog and the temperament.